Fiverr has gradually become the freelance marketplace I use most. Fiverr is the original micro-services freelance marketplace and still the world's most popular. It was created with the idea that everyone has talents, skills, and services you could sell for as low as $5 (i.e. for a “fiver”). This inspired a lot of people to try selling online for the first time, and the site filled with a lot of projects (called Gigs) for creative, almost random things such as “I Will Do A Happy Birthday Video With My Mouth Trumpet” or “I will tell you when your ex will come back“. As the site has grown, Fiverr allowed sellers to raise their prices and offer Gig add-ons, such as to charge extra for a rush order. Partly as a result of these changes, a more professional type of seller appeared on the site, offering business-oriented Gigs involving computer programming tasks, marketing campaigns, and so much more. More recently, Fiverr Pro was launched, with “Top quality, hand-picked professionals, trusted by the world’s biggest brands”. What that really means is that these sellers are vetted by Fiverr, giving them more credibility and allowing them to charge higher rates for larger projects, much like what you find in the many other freelance marketplaces online. While I don't find myself using Pros nearly as much, I do like having them around so that I can use Fiverr as my one-stop freelancing shop regardless of project size. Between the classic Fiverr sellers and the newer Fiverr Pro sellers, you can now find Gigs on Fiverr for almost any kind of job search-related service, and best of all, you can still get great, fast results without breaking the bank. Once you're inside, search for the kind of work you need done and start comparing different sellers' Gigs. You can start ordering Gigs right away, but many sellers will prefer you contact them first so they can judge if you're both a good match. When you order a Gig, you'll need to describe the work you need done and sometimes upload attachments to help the seller give you the best results possible. After the seller gets started, you'll message back and forth as the seller provides revisions of the work for you to check. Once you're happy with a revision, you'll validate that the Gig is complete, and then provide feedback about the seller. Which part of your job search would you like to outsource most? Take advantage of the lower rates on Fiverr by ordering the same work from multiple sellers in parallel. 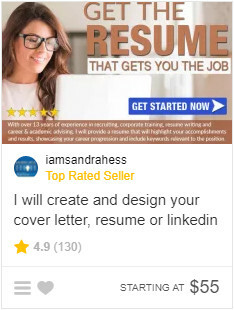 For example, while a resume rewrite can easily cost over $200 elsewhere from a single provider, on Fiverr you could divide that budget and spend it on 4-5 different resume writers working separately at the same time, perhaps with slightly different requirements, such as tailoring your resume for different companies to apply to. 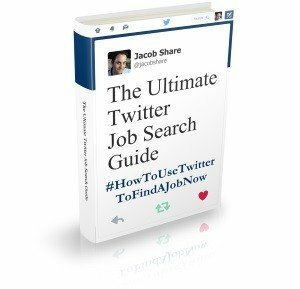 Another example is when I had multiple copy editors work on The Ultimate Twitter Job Search Guide. One of the advantages of this smart strategy is that you may get insights from one seller that you can turn around and suggest to another. Well, sort of: sellers actually care most about making money, but the key to them doing that on Fiverr are good ratings. High ratings help sellers' Gigs rank better in Fiverr search results and let sellers unlock new features on Fiverr, both of which make it easier to earn more. This affects Gigs in a number of ways. For instance, many sellers will insist on being contacted before you order because they only want to work on projects they know they can complete well for a good rating. Another way is that mid-Gig, if a seller senses they can't finish the work on time or to your satisfaction, they may ask you to agree to cancel and refund the Gig order as opposed to being late (which Fiverr notes) or risking a low rating and negative feedback from you. If a seller senses they can't finish the work on time, it's not always their fault. All too often, it's because the buyer (you) takes too long to respond to seller questions or to check the latest work revision from the seller. Plan to be available when the seller is online to work on the project. If you have a smartphone, download the Fiverr app and keep notifications enabled at least when you have orders being worked on. Even if a seller doesn't ask to be contacted prior to ordering, do it anyway to test their communication skills and promised response time. If their Gig doesn't specify, ask what kinds of information they'll need from you, in which format, and in which format results can be provided. You may also ask for examples of past work, especially if the seller doesn't have a lot of feedback for you to read. Read the feedback that the seller has already received from previous buyers, and see how the seller responded (or not). Good sellers will always respond. If it's too generic and repetitive, the reviews may be fake and possibly even purchased from other Fiverr sellers (although Fiverr tries to prevent that), in which case you should move on to another seller. Sometimes, a buyer will leave a complaint or other negative feedback. A good seller will be able to politely respond in a way that shows the issue was more with the buyer, if that really was the case. If there isn't any feedback yet for the Gig you're interested in, check if the seller has any other Gigs available that may have had feedback. Similarly, it's never a good sign to see a Fiverr Gig with spelling or grammatical mistakes. And it should really bother you if the Gig in question is for proofreading or writing of any kind. Be smart! As long as the seller's Gig meets all the other success criteria mentioned above, a seller's country only matters in a few situations. If the seller is in a timezone far from yours, it may be tough to be available online while they're working on your order. If the work you need is very specific to your geographic location or local culture, a foreign seller may not have that local knowledge needed. For example, an American resume would be different than a British CV in a number of ways. That doesn't mean you should avoid a resume writer from Australia, but if their Gig appeals to you, ask in advance if they can handle your needs. It's tempting to always aim for Top Rated Sellers such as this one on the right. Their thumbnail is appealing, they have great ratings and Fiverr will rank them higher in search results, but their popularity may come at a cost, and I don't mean that their rates will be higher (although they usually will be). If you check their Gigs, they'll often have many “Orders in Queue” i.e. orders from other buyers that are waiting to be worked on. Your order would go into the queue, which means that the seller won't be able to start on your order right away. Instead, look for newer sellers who have good rankings but haven't done many orders yet, or even completely new sellers who have great Gig descriptions. They'll be cheaper, more eager to finish fast because they're trying to build their ratings and reputation, and they'll have fewer orders queued so you're more likely to get your work delivered faster. Don't waste time searching: here's a list of categorized, recommended Fiverr Gigs whose sellers are all ranked at least 4 stars out of 5. There are also many more Gigs in the dedicated sections on Career Advice, Proofreading & Editing, and Resume Writing Services and Cover Letter Writers for Hire. What are some alternatives to Fiverr? There are actually many other micro freelance marketplaces. I just prefer Fiverr. Which part of your job search would you like to outsource most and why? Or, have you used Fiverr before? What for and how did it go? Tell us in the comments. Another take: Fiverr Tutorial – How To Use Fiverr in 2018! 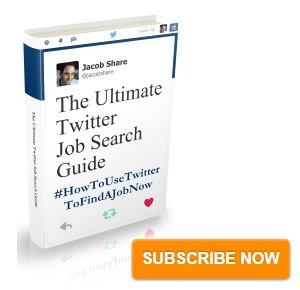 Subscribe to JobMob via email and follow me on Twitter for more ideas to make your job search end faster.